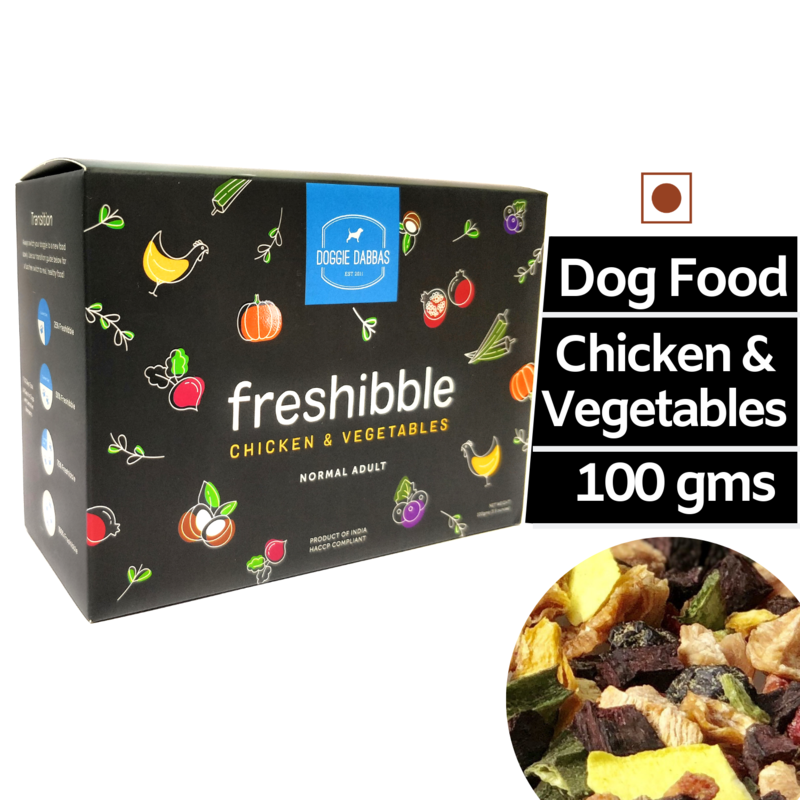 •	PROTEIN RICH FOOD- This pack contains highly digestible animal protein sourced from human grade farm fresh chicken that makes it a diet rich in protein. 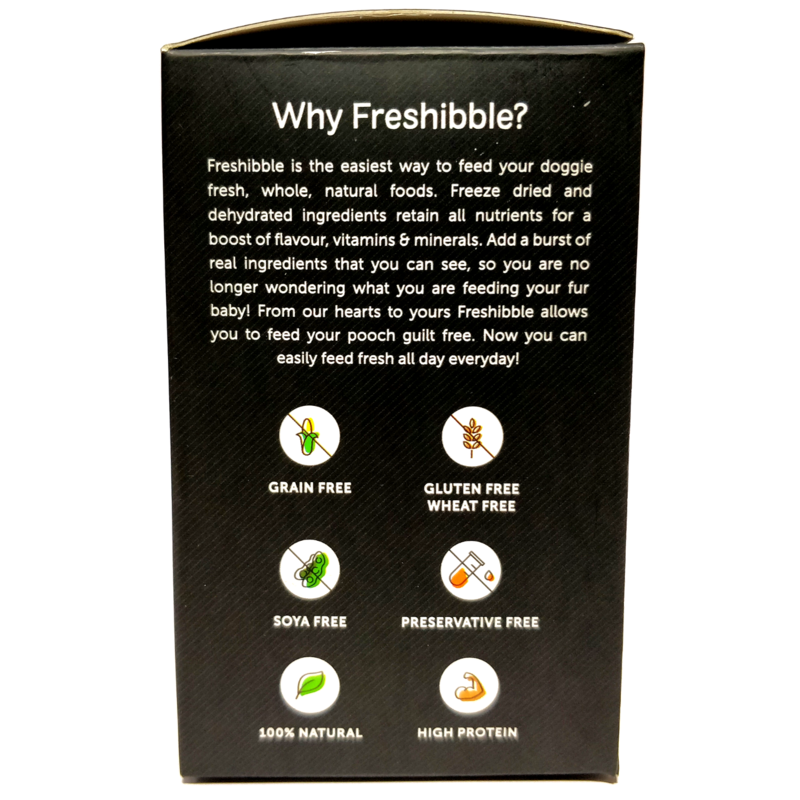 Doggie Dabbas Freshibble (Chicken & Vegetables) is a diet formulated to meet the nutritional levels established by AAFCO, NRC & FEDIAF. 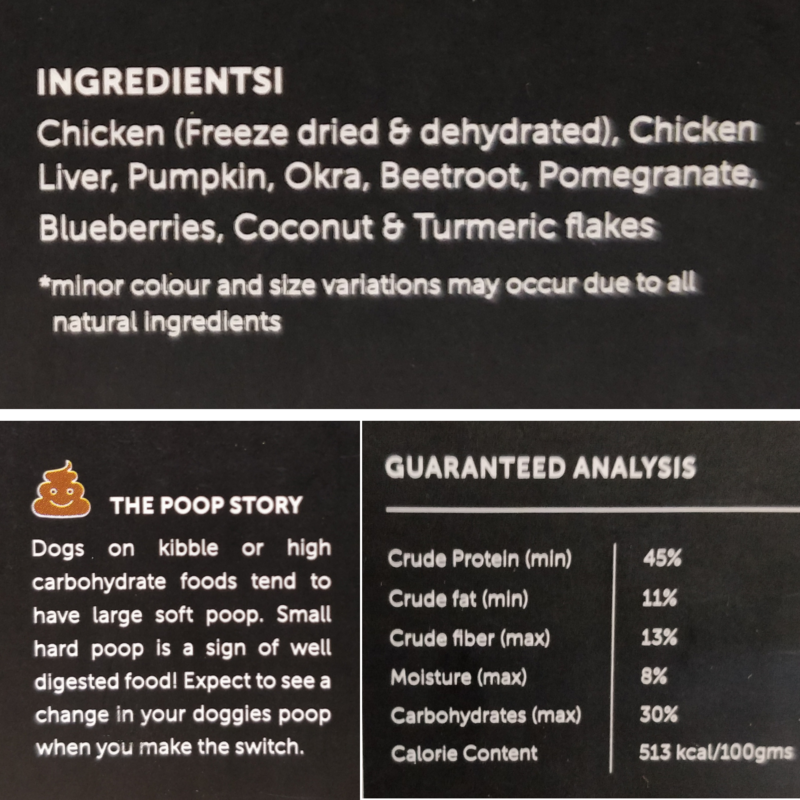 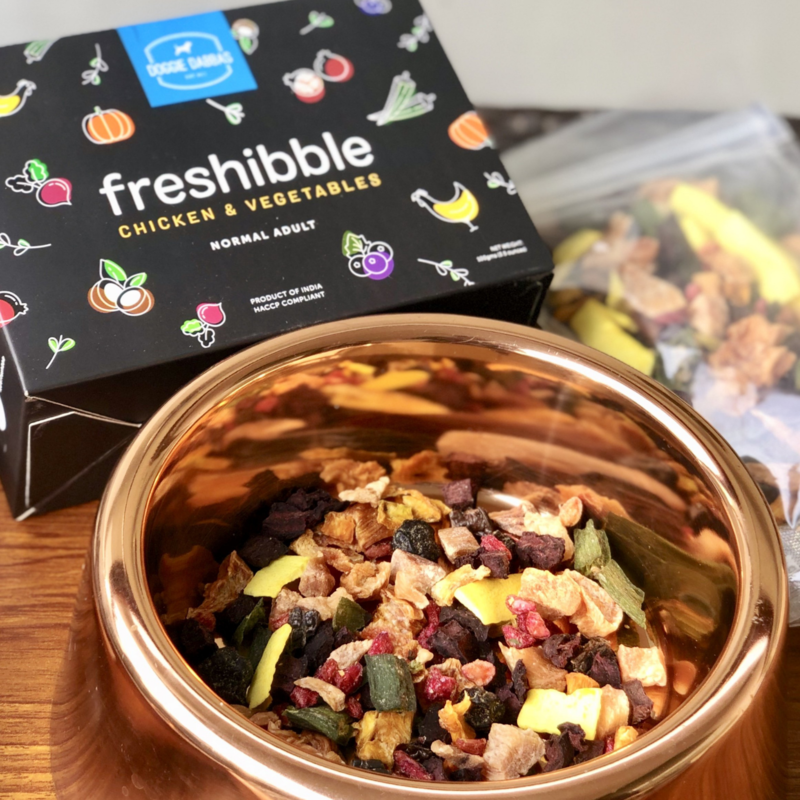 It is a diet crafted with all natural ingredients like freshly sourced chicken, vegetables, and fruits in dried and dehydrated form. 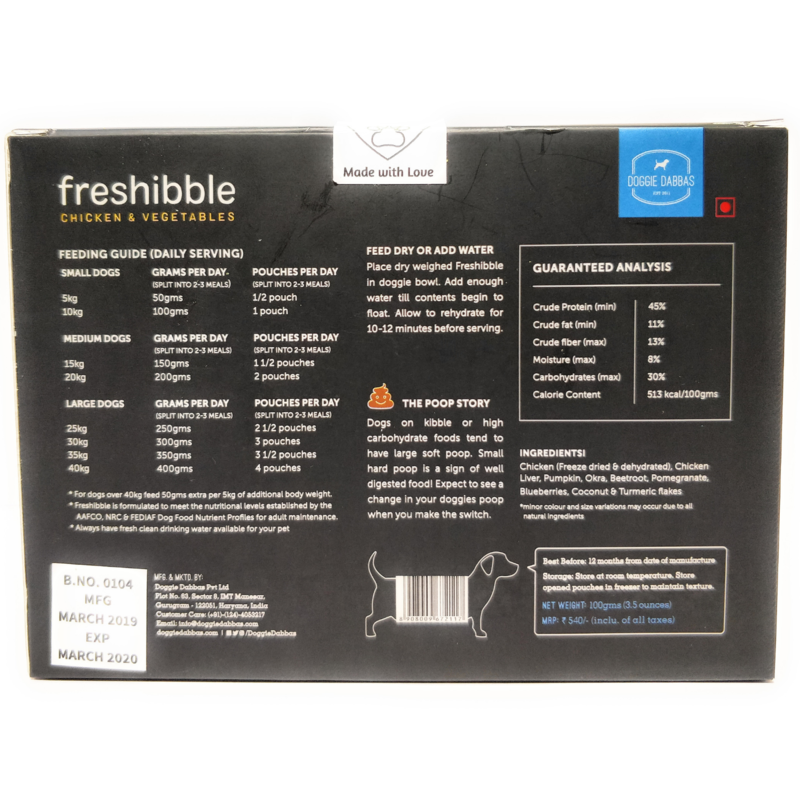 Chicken & Chicken Liver- This pack contains an apt amount of animal protein sourced from human grade farm fresh chicken. 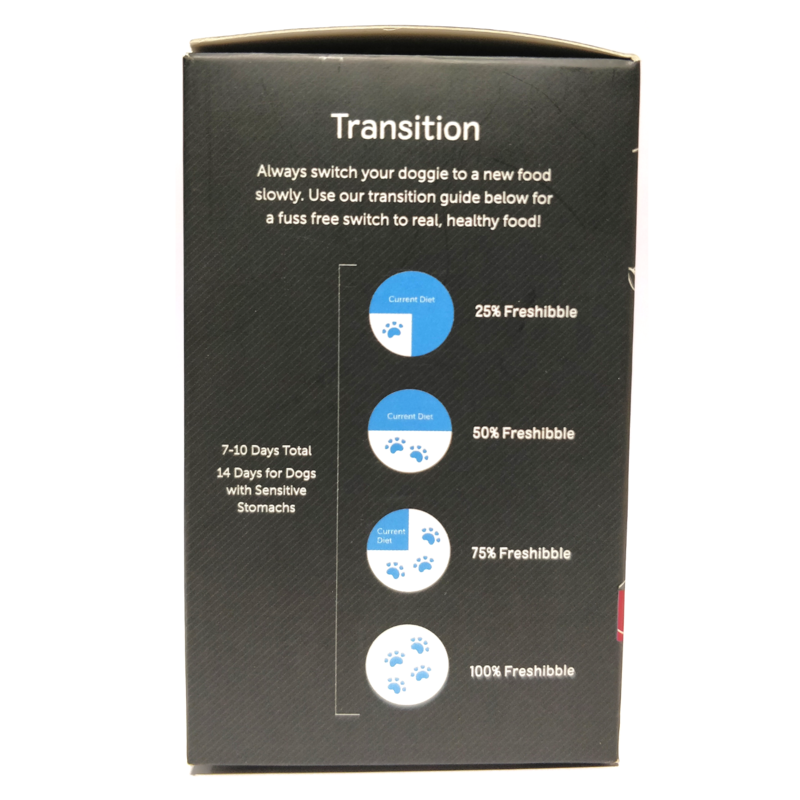 Protein helps in keeping the immune system of dogs in good condition and also improves the energy level in them.